Teppanyaki Misono was established in 1945. Young Shigeji Fujioka entrusted his dream to an iron plate in Kobe where everything was burnt down by the fires of war. Fujioka was running a café and coffee bean wholesale business in Kobe before the war. After the war ended, he opened an Okonomiyaki restaurant by using an iron plate from the local dockyard as a grill plate. This is how Misono started in the first place. Dancers who were the regular customers brought officers of the occupation army and Fujioka served them Tajima beef steak which will be led to Misono's current business. He cooked high quality of meat and vegetables one after another by manipulating the spatula skillfully right in front of the customers. Teppanyaki steak created by Fujioka who is the founder of Misono, quickly became very popular among dancers and officers of the occupation army because not only it was delicious but also it was fun to watch the cooking process like a show. Tokyo store (later Shinbashi store) moved to a new location. Osaka store moved to a new location. Bifukatsu store temporarily closed due to the redevelopment of Shinbashi district. Shibashi store closed to be united with Ginza store. The term of Teppanyaki now became widely known. Did you know that Misono used the term for the first time? In 1945 when Misono was established, the unique style of grilling ingredients on an iron plate called Teppan drew a lot of attention not only in Japan but also in the states. Around that time, Misono was interviewed by an American reporter and named the cuisine Teppanyaki. 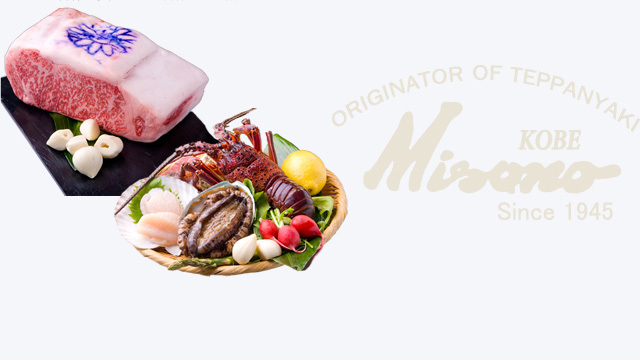 Misono is certainly the originator of Teppanyai, The word of Teppanyaki appears in English dictionaries as well. Misono serves Kobe beef that has been always loved since its establishment and the finest quality of beef that is carefully selected from Wagyu beef throughout Japan. 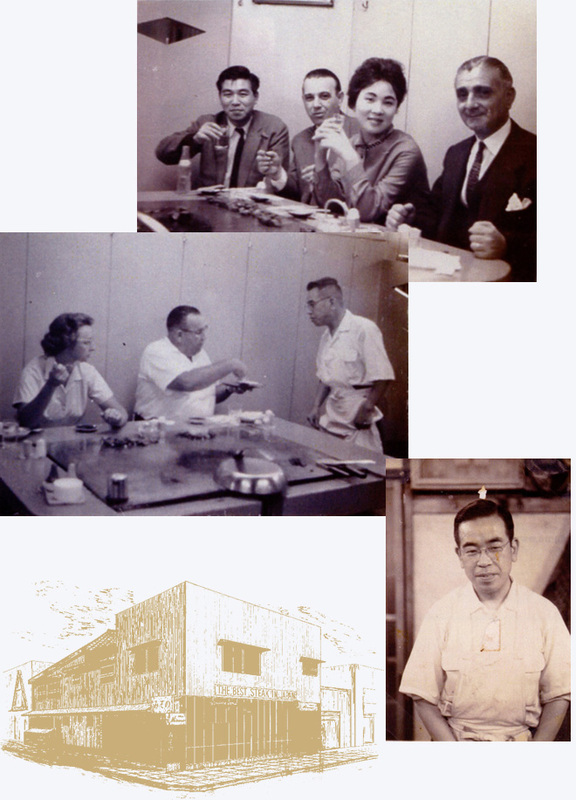 For more than 70 years, Misono has been successful at the forefront of the industry and earned a lot of knowledge and experiences. Misono Premium Quality Wagyu is the high quality beef that is selected with a strict standard combined with our knowledge and experiences. 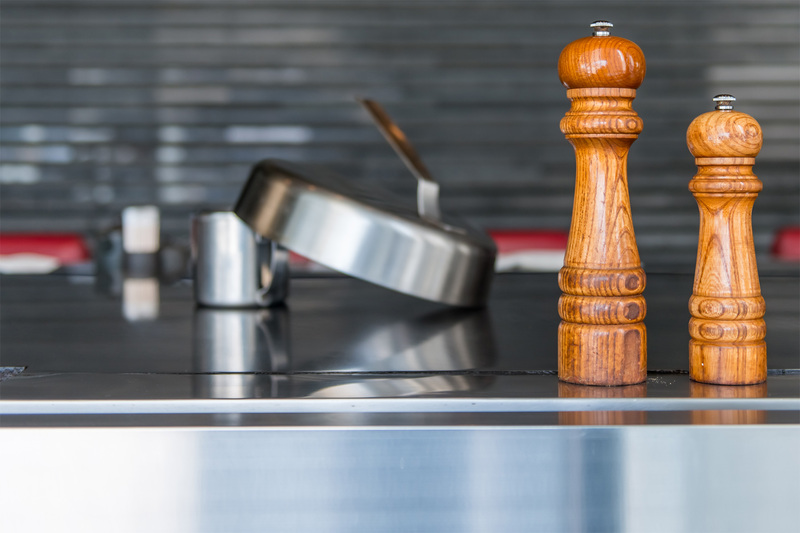 We cook premium ingredients with solid techniques in a simple style just to let you enjoy the best taste. That is what we are strongly hoping. What the founder, Shigeji Fujioka endeavored when he opened the restaurant was to respond to the customers' requests and make them happy. 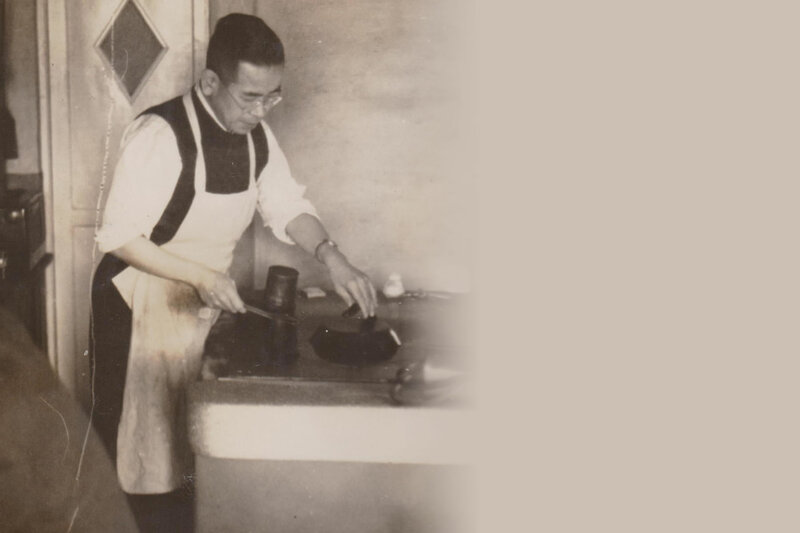 In order to realize it, Fujioka made a constant effort to learn about the taste, nutrition, grilling, and even cooking tools to compensate his limited experiences in cooking. The positive attitude allowed him to create the Teppanyaki steak at Misono that was a cafe back then and also to come up with ideas of cooking tools including the "cap" which is a steak cover. We will sincerely succeed the founder's spirit and make a constant effort to create a restaurant that will be loved by our customers. 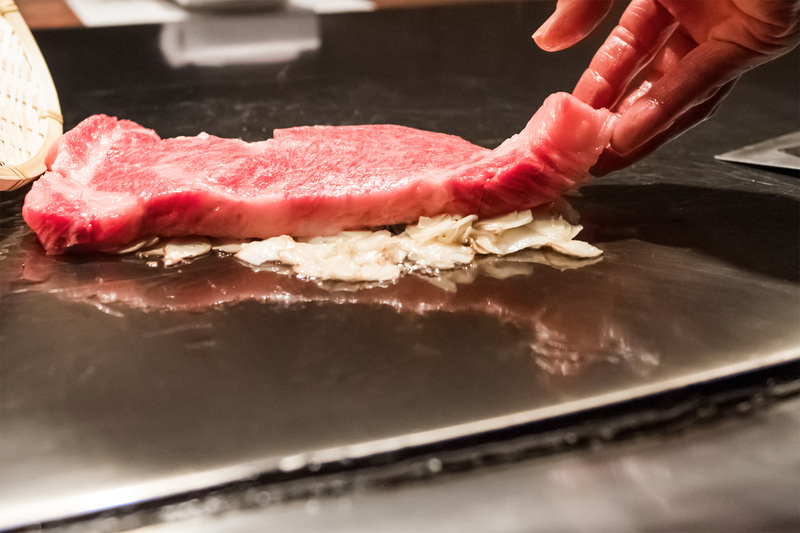 Since Misono first invented the Teppanyaki steak, it has been evolving in its taste over the time through the process of trial and error. One of the ideas that we came up with through the process was the "Cap" (steak cover). Although the steak cover is internationally prevalent, it was invented at Misono right after the war when Misono was just opened. He later discovered that the "Cap" (steak cover) creates a heat convection and ingredients inside can be cooked efficiently and delicious. It also provides a steaming effects that allows the heat to penetrate to the core of the ingredients to be cooked juicy. It of course retains the fragrance of the food as well which influences the taste. The best part of Teppanyaki is that you can enjoy the food as it is being cooked with high heat and great skills. At the same time, this cooking method generates a lot of oil and wetness (steam). We pay a lot of attention to the cleaning and maintenance to let our customers enjoy the Teppanyaki steak under the best environment.